The club plans to participate in Delphi Days again in 2010. This event was cancelled in 2009 and we are SO happy to have the event happening again in the community. What a good sign! September 18th is the day for Delphi Days. We will need club members to help with people movers. Let Jerry Daenzer know if you are interested! New Plan! We are Returning to our Roots! Hecht Auction Service Hecht Auctions helps the clubs in our many endeavors. Jerry has assisted us with the Friday night auction the last 2 years. Check them out for local auction listings or if you need help with an estate sale or farm sale. 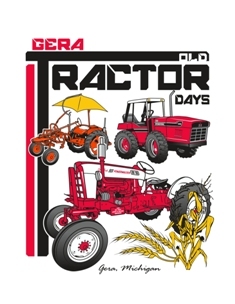 New Parts for Old Tractors Steiner Tractor Parts offers restoration quality tractor parts for many brands of antique tractors. SteinerTractor.TV Free online tractor repair videos. Video instructions for every day repairs. Thumb Octagon Barn The Thumb Octagon Barn Agricultural Museum is located in Gagetown, Michigan. They have an annual festival as well as other events.